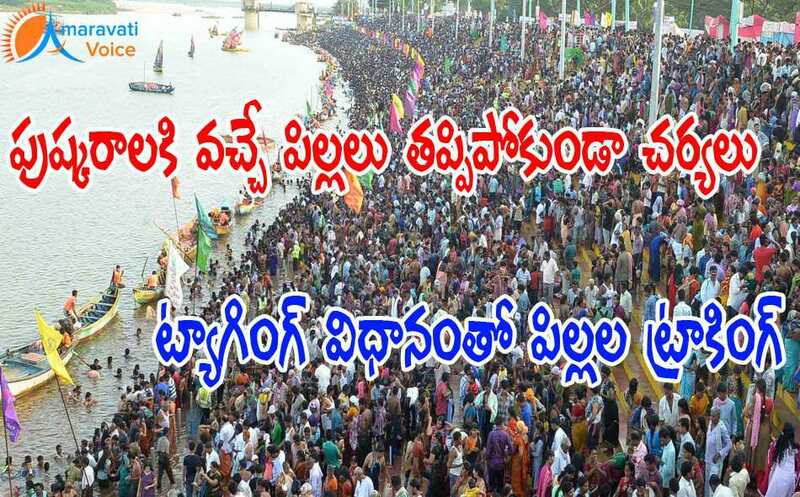 The Krishna district administration has developed an efficient system to trace children and elders in case they go missing during the Krishna Pushkarams. The name of every child and elderly person visiting the city for the Pushkarams will be registered and they will be given a bracelet tag made of material which cannot be torn easily. It will have contact number of Command and Control Centre and the mobile number of the family of the child or elder written on it with indelible ink. The bracelet tags will be linked to a mobile application developed for the purpose. Some 1500 to 2000 volunteers will be engaged to track the children and elders. Deputed at railway stations, bus stations, information kiosks and pushkar nagars, the volunteers will make the children and elders registered as soon as they arrive in Vijayawada. Details like name, gender age, contact number parents or guardians will be fed into the mobile application and the data sent to servers in Command and Control Centre. In case the volunteers find any child or elder missing, using the contact number on the tag, the Command and Control Centre is alerted and the family of the child or elder will be alerted. Around 10 lakh tags have been prepared.